Spend £ 171 more to qualify for payment by finance. 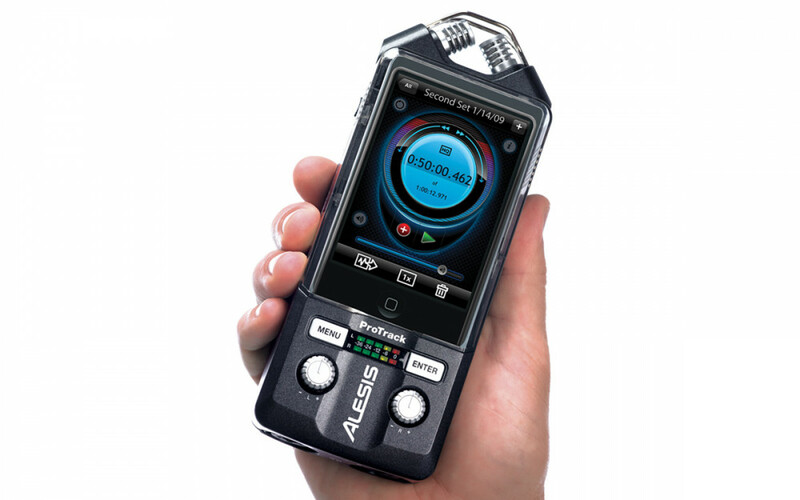 Record anywhere in great quality straight onto your iPod using the Alesis Pro-Track recorder. Just dock your iPod and cover it with the protective clear shield, and you´re ready to roll. You can record detailed, 16-bit, 44.1kHz or 22kHz stereo digital audio without connecting any additional equipment using ProTrack´s onboard pair of cardioid condenser microphones. The on-board mics are fixed in XY configuration for optimal stereo imaging. ProTrack also has a pair of combo XLR-1/4" inputs enabling you to connect any professional sound source, including condenser and dynamic microphones and mixer outputs. Whether you are running on plug-in or battery power, ProTrack supplies 48V phantom power to its inputs for operation with external condenser microphones. ProTrack has LED-level metering for instant visual indication, even in a dark club. You can monitor or play back recordings on the 1/8" stereo-headphone output. Controls for phantom power, limiter, and volume are easy to access. 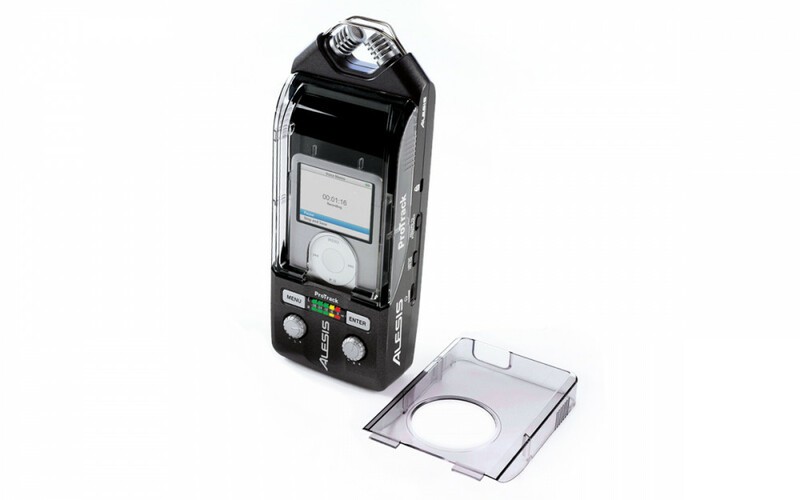 ProTrack records on four AAA batteries or AC power using the included adapter. A 1/4"-20 threaded mounting point enables you to mount ProTrack on a mic stand with the optional ProTrack Adapter, on a table with the optional ProTrack Tripod table stand, or on a camera tripod for hands-free tracking. ProTrack automatically dates and time-stamps files so it´s easy to identify which track was the recording of the acoustic-guitar folk duo last Tuesday at happy hour, and which was the flailing hard-rock drummer from Friday night. And speaking of that percussive dynamo, you´ll appreciate ProTrack´s switchable limiter which ensures that your recordings are distortion-free. 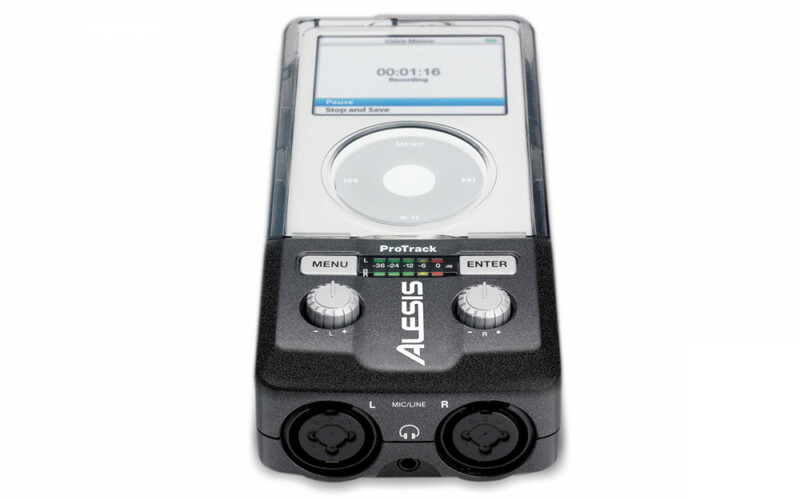 ProTrack is the most convenient way to capture sound effects, recitals, jam sessions, speeches, interviews, rehearsals, performances, meetings, lectures, notes-to-self, and anything else you can thing of... directly to your iPod. "iProRecorder for iPod Touch (shown here) is compatible with ProTrack and may be purchased from the iTunes app store. 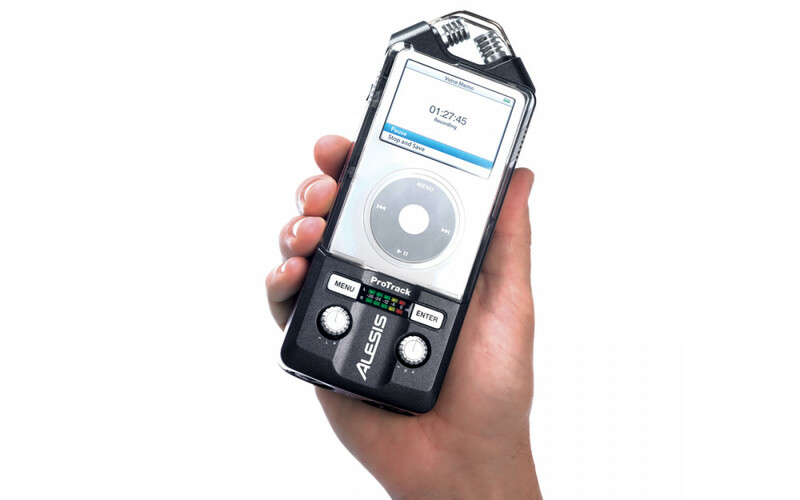 Visit www.iprorecorder.com for more info. ProTrack records to iPod Classic 7th and 6th generation, 5th-generation iPod, 3rd and 2nd-generation iPod nano, 2nd-generation iPod Touch, and iPod nano-chromatic. Sleds are not included for nano-chromatic and nano 2G. iPod is a trademark of Apple Inc., registered in the U.S. and other countries. iPod not included. iProRecorder is a trademark of BIAS, Inc.
Seen the ALESIS PRO-TRACK Recorder for iPod Cheaper?